Diary of a Psychic Healer: I'm writing for OM TIMES Magazine! I'm writing for OM TIMES Magazine! It's been two weeks since my last post and I have plenty of material to make up for it. Funny how things come together sometimes; I've had three big firsts this week! My first and second published magazine articles went live with OM TIMES MAGAZINE the past week or so. One of them even landed on the cover next to the beautifully talented Colette Baron-Reid! See here for 7 Ways to Make Your Guardian Angel's Job Easier. 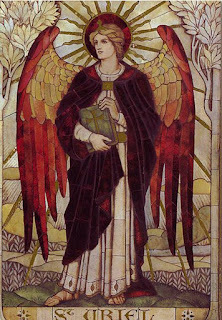 You'll learn how to connect with your Guardian Angel and make full use of his or her angelic powers. 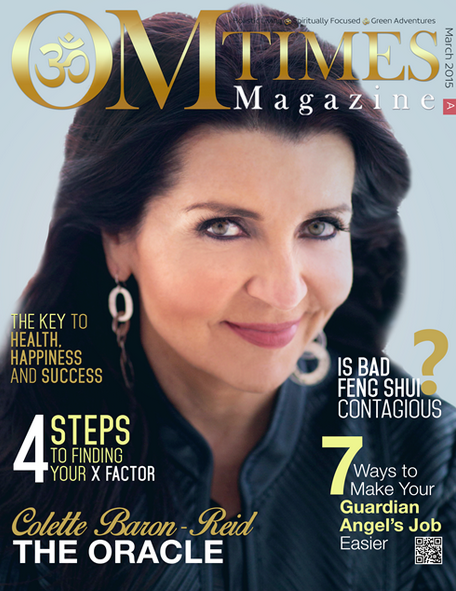 OM TIMES Magazine also published another article that I would love for you to read, called Self-Healing, Cancer and Forgiveness. Here we look at how the physical body stores emotions, and why it's so important to start with our self-healing journey while we are still healthy. This article picks up where my Self-Healing, Cancer & Love book left off, encouraging us to make healing a part of our daily lives. Finally, the last "first" is a Guest Post on TinyBuddha.com, a spiritual blog with "simple wisdom for complex lives". The website is run by a lovely lady named Lori. She's brought together a community of friendly and enthusiastic folks. It's a fantastic place to go if you're looking for inspiration or support. This particular post is on an enjoyable (and patient) approach to weight loss, offering an alternative to the vicious cycle of endless diets. It addresses self-healing, especially when anxiety fuels our cravings. Read it here!